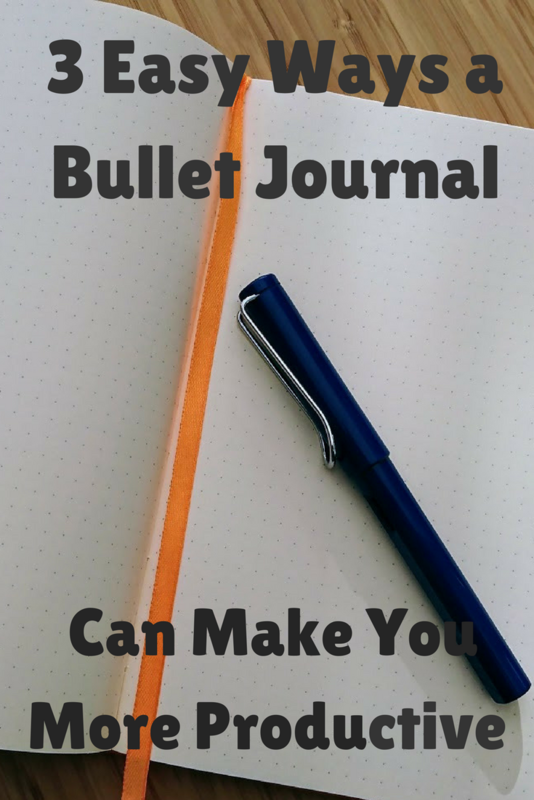 Share the post "8 Reasons You Should Be Using A Bullet Journal"
I have been using my bullet journal since mid-June and it’s fair to say that I am a total convert. 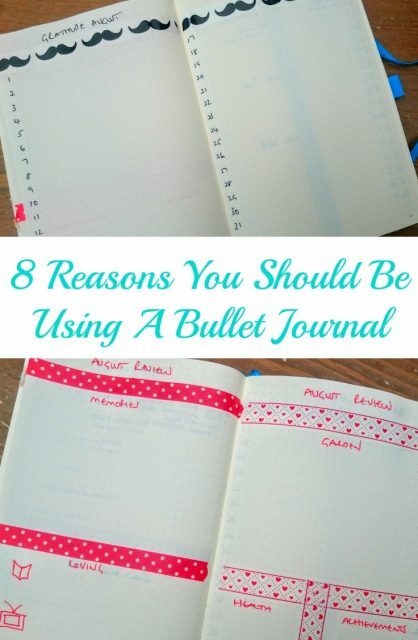 If you’ve yet to try one, or haven’t heard of them, today I’m going to be giving you 8 reasons you should be using a bullet journal, and let’s see if you become a convert, too. I wasn’t sure that I would be converted, to be honest, but seeing them everywhere I was intrigued and wanted to give it a go. I’ve used various planners, notebooks and journals before and I don’t always stick to them, sometimes finding them superfluous to my needs. I was a little dubious about the free flow of a bullet journal, perhaps I would need more structure? 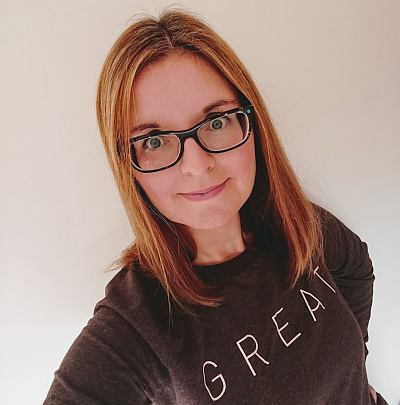 It’s also easy to be daunted by all of the beautiful images and layouts that you see, as I am not artistic at all and I need the bullet journal to be functional and help me, rather than add another thing to my to-do list. All of this aside, I decided to just give it a go and start one and now I can’t imagine being without one. With less than two months use, I am addicted to my bullet journal. They make you more productive. Once you have decided how to use yours, your set up should enable you to be more productive on a daily and monthly basis. As you set up your monthly log it will give you pause to consider what you would like to achieve this month and as you write a list, you’ll be able to mull over how manageable it is. If it’s unrealistic, move it on to next month, if it’s relatively short, perhaps you can achieve more this month? It’s a similar train of thought when you set up daily logs, too. Interspersed throughout the daily logs will then be any other pages that I want to create, so for example, this month I popped a page in there for planning my son’s birthday. It enabled me to get all of my thoughts in one place and make a few decisions. They make you more efficient. It’s not simply a case of achieving more as in the above point, though. You’ll feel more efficient as you’ll have done more but it should feel easier. By stopping to think at the start of the month, it will all flow from there. Each day, one of the first things I do when I get up is create my daily list so all that needs to be done is there for me to follow and mark off that day. It eradicates those moments of casting around trying to remember what I should be doing next and allows me to see exactly how much I have on so I can pace the day better. They are a lovely way to preserve memories. Though I adore them, I can’t commit the time to scrap-booking, journals, memory books and the like, so this is my teeny snapshot of the month. I like to capture what I’ve been up to, what I’ve loved reading and watching, what’s happening in my garden and so on. You might create a page for funny things your kids have said, the progress of your puppy’s training, a spread for your annual holiday – literally anything at all that you’ve enjoyed and would like to log down or be able to look back on. They save you money. Yes, I can honestly say that! In my case, I include a double page spread each month for meal planning and shopping, and when I meal plan, I always save money as well as saving time each day trying to decide what to make for dinner. I’ve also seen people use expenditure trackers, which I can see being a good idea to encourage more money saving. They improve your health. Another lofty claim, but ’tis true! I track my water intake daily and am now much better at ensuring that I drink plenty every day and I do also notice now the impact that it has on me when I don’t drink enough. I also keep a food diary in there next to my daily log, and it’s funny how the action of simply writing everything down that you eat can stop you from reaching for one more biscuit! Next month when the kids are back to school and nursery and routine gets back to normal, I plan to incorporate an exercise tracker into one of my spreads, too. You might note down steps taken daily, hours at the gym, weight goal plans, anything that helps focus you on your health. They make you happy. I include a gratitude spread in my bullet journal, where I simply note down three things at the end of each day that I am grateful for. I shared a couple of months ago the value of keeping a gratitude journal and how to get started with one. I love completing mine as it really does make me pause and reflect on the day, and round off the day with happy thoughts. I also keep a little section in my monthly memories spread for any achievements that month, a deliberate attempt to look back and find things to be proud of as that’s not something that I would naturally do, yet I think there is real worth in doing so. There’s then the sense of achievement in crossing things off lists, so that even on days where it feels little progress has been made, there’ll be a bright spot to point to. They allow you to empty your head. Looking over the above points, it might look as though I spend ages putting pen to paper, but it’s actually very little time each day, and just ten minutes at the start of each month to set it all up. And for that, my head gets emptied. I don’t know about you, but my thoughts are always whirling around in there, most often things that I need to do. But now, whether it be putting on a slow roast and emails needing to be sent that day, through to plans for the kids birthdays and gift ideas, it all gets emptied out of my mind. When a thought pops into my head that needs action, it gets noted down so it won’t be forgotten. It’s also all in one place, from gardening ideas through to books I am loving, they all live in this one bullet journal, ensuring that whenever I have things that I’d like to think more about, brainstorm, or simply get out of my head, there’s a place for them all. When my head is emptied like this, I can then concentrate on actually enjoying the day and getting the tasks done. They are pretty, and an excuse to use lovely stationery. I am not artistic, but I pretty mine up with washi tape and coloured pens, and have even been known to throw in the odd doodle! I love my Leuchtturm notebook, using a fountain pen and really, any excuse to buy stationery, right?! Are you tempted to try one? I shared Getting Started with a Bullet Journal which should give you the basics that you need to get going, if so. Do pop back and let me know how you find it! 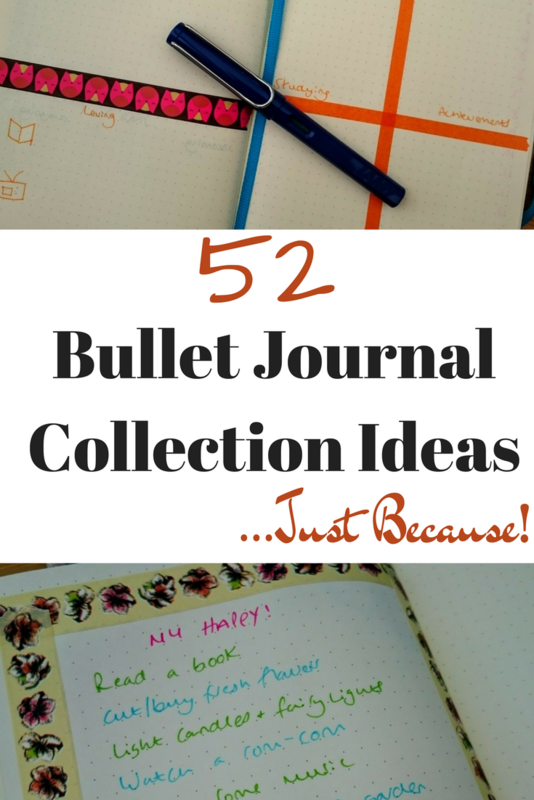 Could a bullet journal be for you? I'm Getting Back on the Saddle! What a great idea & very useful to keep an eye on my health problems to see if there is a pattern. Certainly putting a fresh notepad next to bed to help clear my head. Thank you for the advice. Yes, it could be perfect for that. You’re welcome. I’ve been using a bullet journal for a few years and I totally love it. I have been going back and forth between my Midori traveler notebook and my A5 planner. When I use the A5 planner, I still write things down as I would my Midori. Being planner crazy, I also use a regular spiral notebook as a bullet journal. There’s nothing wrong with keeping your to dos in a few books. I’m so happy your bullet journaling is working well for you. 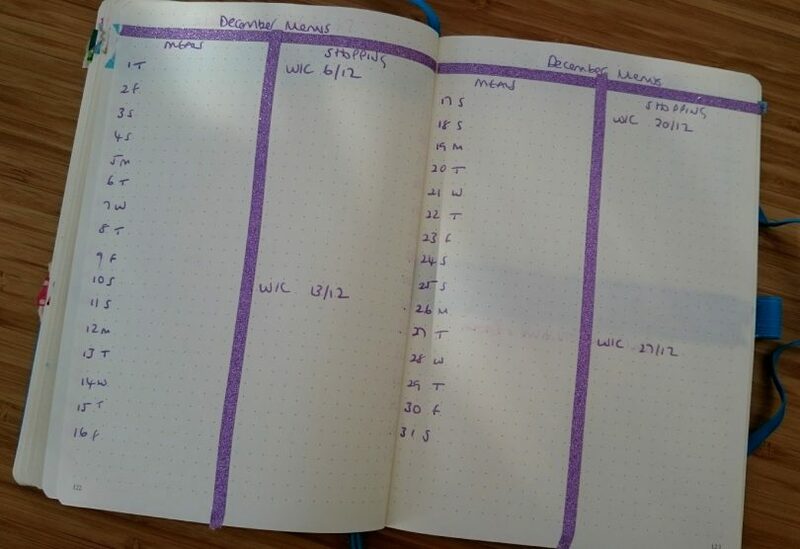 I like how you move from one planner to another, keeps things interesting, doesn’t it?